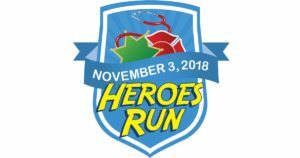 The 2018 Heroes Run to raise awareness and some money for children’s health services at Santa Clara Valley Medical Center drew about 1,000 people to the 5k race and fun run. VMC Foundation, County Fire and the Santa Clara County Sheriff’s Department hosted the sixth annual event at Cupertino Civic Center. Many have personal knowledge of the great work the dedicated medical professionals do on children at the County hospital. Running along with the crowd were sheriff’s deputies in full tactical gear and firefighters in full turnouts. Apparently, the event just would’ve been too easy in jogging outfits. Of course, they also competed in a grueling obstacle course to cap off the 5k run because they weren’t tired yet. And so the glorious 2018 Heroes Run is now in the books. Please check out our video, which also includes an interview with the sheriff’s sergeant who conceived and launched the event as a rookie deputy. Related: You might also enjoy this story about the VMC Rehabilitation Center.